The ACS Athens Academy is a comprehensive four-year high school enrolling 400 students in grades 9 through 12. The Academy’s diverse offerings are unparalleled in Greece at the secondary school level. As an international school embracing American principles of education, our program strives to maximize the growth of the whole person and to provide equal opportunities for a diverse student body. Our focus is also to encourage multicultural awareness and understanding, as well as to honor the rich culture of our host country. The range of courses offered at the ACS Athens Academy allows students with varied interests and talents to excel and to continue to grow academically. Courses are offered in all of the traditional academic areas, as well as in the fine arts, computer technology, physical education, and health. The Optimal Learning, EFL and ESL Programs provide more individualized assistance for students who require it for mastery. Taken as a whole, the Academy program offers an exemplary college preparatory experience for all students. 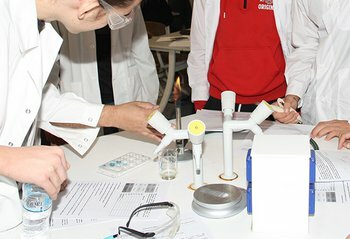 Co-curricular opportunities -- cultural, academic, service and athletic as well as programs offered by the ACS Athens Institute for Creativity (IIC), that allow students the opportunity to pursue college-level study for credit --- provide possibilities for students to extend learning beyond the classroom. The Student/Parent Handbook and the publications of the IIC contain descriptions of such activities. 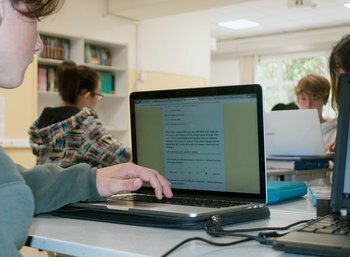 The philosophy, practices, academic and social expectations that shape the challenging ninth and tenth-grade experience prepare our students for our eleventh and twelfth grade College Preparatory and IB/AP Diploma Programs. Our rigorous academic program is complemented by extensive athletics, activities, and service opportunities, which allow our students to develop their skills, talents and social commitments outside the classroom setting. In the country that gave birth to the concept of the well-rounded individual, we strive to take a holistic approach to student growth. Students engage in a tech-rich environ¬ment, through a Bring Your Own Device (BYOD) program, and are additionally supported with two technology labs, two mobile laptop carts, and a state of the art Media Studio: Students have daily access to fully equipped science laboratories, a professional theater, a fine arts studio, music and dance studios, an indoor gymnasium with a rock climbing wall, a weight-training room, a swimming pool, soccer field, outdoor basketball, volleyball and tennis courts, and two library/media centers, which contain one of the largest collection of English Language books in Greece. The faculty has incredible teaching experience averaging over 20 years. Education is a partnership. We are working hard to create a harmonious, challenging and positive learning environment. We cannot do this unless students take seriously their responsibility for learning and contributing to the school community, and we certainly cannot do it without parental support. Working together as members of a caring and concerned team, we can successfully guide your children / our students on the path to academic achievement and responsible citizenship in preparation for successful and meaningful lives. **Shared faculty will follow periods and teach academy class. ** All Flex Time students must report to the Learning Commons (library) for attendance and Flex Time activity.